1. 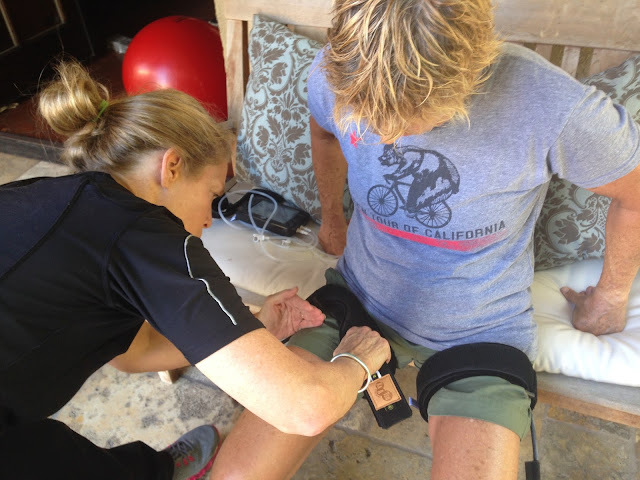 Do KAATSU Cycle twice a day (e.g., mid-morning and late afternoon) on the injured leg for optimal (fastest) results. 2. Start off with the first KAATSU Cycle (running a total of 3 minutes 20 seconds) at a low (conservative) Base SKU and Optimal SKU pressures (e.g., 20 SKU and 200 SKU respectively on the KAATSU Nano*). 3. Continue with a second KAATSU Cycle at a higher Base SKU** and higher Optimal SKU (e.g., 25 SKU and 250 SKU). 4. 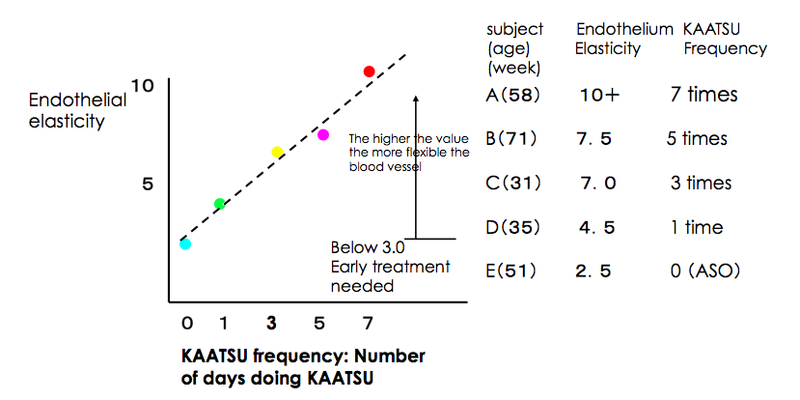 Continue with a third KAATSU Cycle at a higher Optimal SKU (e.g., 300 SKU). 5. Continue with a fourth KAATSU Cycle at a higher Optimal SKU (e.g., 350 SKU) if the individual remains comfortable and the Capillary Refill Time (CRT) remains under 3 seconds. 6. 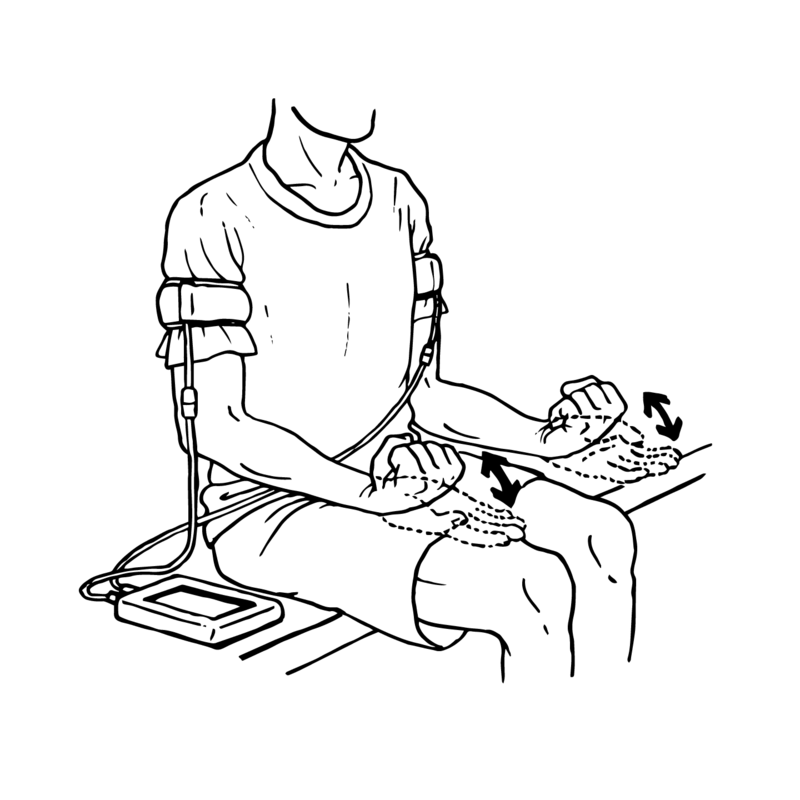 Continue with a fifth KAATSU Cycle at a higher Optimal SKU (e.g., 400 SKU) if the individual remains comfortable and the CRT remains under 3 seconds. 7. Finish off the KAATSU session by doing the KAATSU Cycle also on the other three healthy limbs, if time permits. 8. As the individual improves and recovers, continue the KAATSU Cycle on a weekly basis for maintenance and other benefits. 1. The individual should be well-hydrated before and during KAATSU for maximum benefit. 2. The individual should sit comfortably while doing the KAATSU Cycle. Alternatively, they can repeatedly contract and relax their quadriceps during the KAATSU Cycle on the 2nd - 5th KAATSU Cycles. 3. 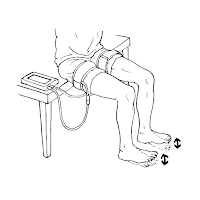 Frequently check their CRT as the Optimal SKU increases on the 2nd to 5th KAATSU Cycles by firmly pressing a thumb in their quadriceps above the patella (or down by the ankles if they are wearing longer pants). 5. KAATSU can be done in combination with any other physical therapy treatments. 6. 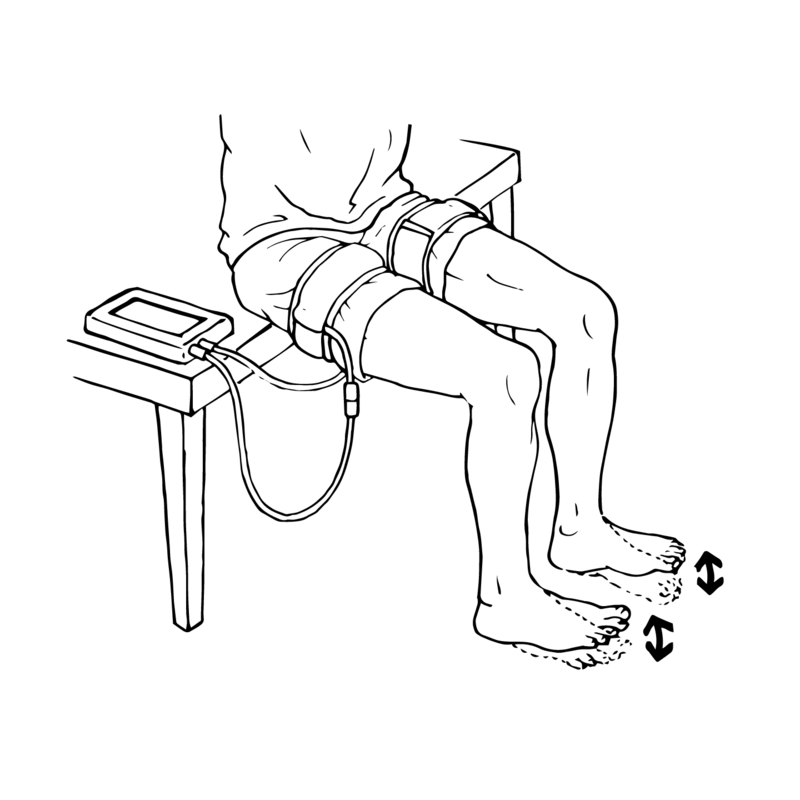 Ideally, the KAATSU Air Band should first be placed only on the injured limb. Then the individual can continue KAATSU on both legs and also subsequently on their arms (e.g., by doing the KAATSU 3-Point Exercises***). * If you use the KAATSU Master, these same pressure levels would be a Base SKU of 40 and an Optimal SKU of 200. This is because the air compressors are larger on the KAATSU Master. Of course, use lower pressures as dictated by the individual’s physiological responses and conditions. 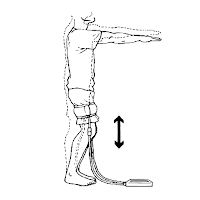 ** When you change the Base SKU from a lower pressure to a higher pressure, you must manually re-adjust the KAATSU Air Bands on the limb. *** The KAATSU 3-Point Exercises on the arms include a set of Hand Clenches + a set of Biceps Curls + a set of Triceps Extensions. 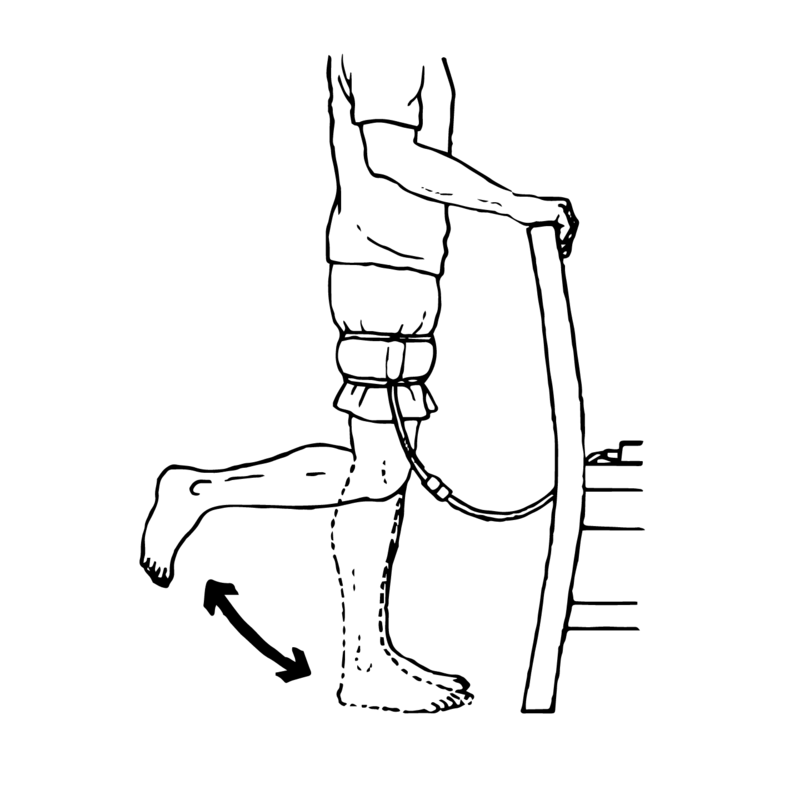 The KAATSU 3-Point Exercises on the legs include a set of Heel Raises + a set of Leg Curls + a set of Non-lock Quarter Squats (note: in the case of non-ankle sprains). 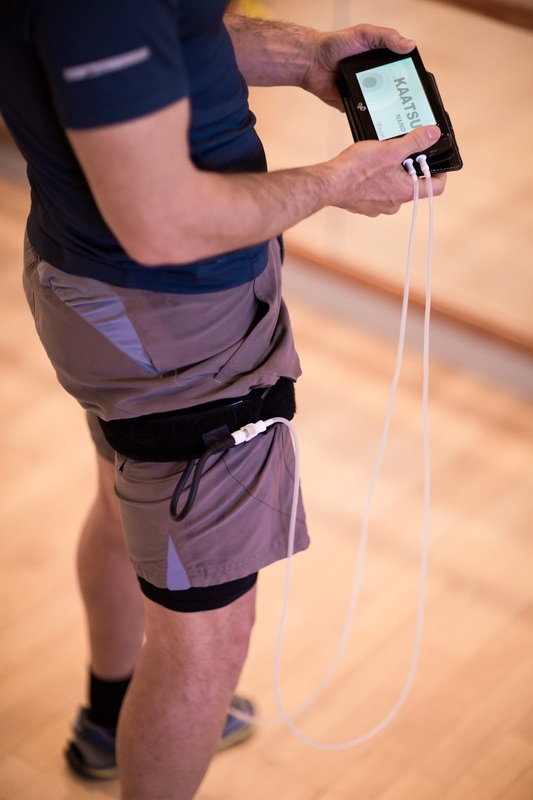 The new KAATSU Master 2.0 is a fourth-generation KAATSU device that enables real-time monitoring and archiving of user's physiological data. The device is ideal for use by corporations, organizations, clinics, hospitals, teams or large groups. The next-generation KAATSU Master 2.0 is combined with the Masimo MightySat™ Finger Pulse Oximeter and a wrist blood pressure monitor that can capture and archive your oxygen saturation, pulse rate, perfusion index, Pleth variability index and blood pressure readings in real-time. 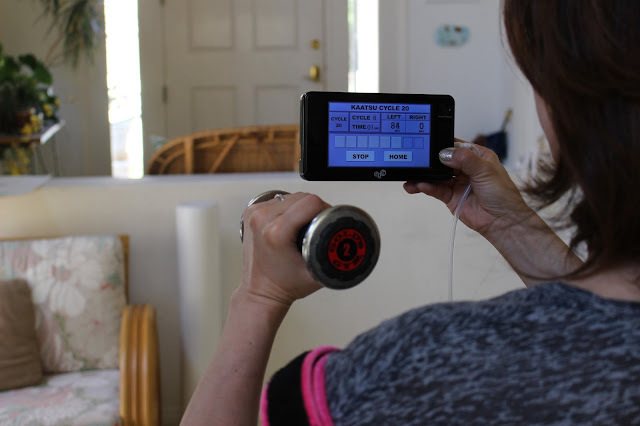 * Designed for performance, recovery, rehabilitation and wellness applications, the touch-screen tablet offers personalized and comprehensive KAATSU Cycle options. * Dual air compressors are driven by separate algorithms so each limb can be simultaneously inflated to different optimally safe pressures. * The Bluetooth-enabled tablet-based form factor offers automatic storage of user data in the KAATSU Cloud. * Depending on the particular KAATSU protocols, benefits can include effective muscle toning, improved circulation, faster recovery from competition or vigorous workouts, anti-aging benefits, improved speed, enhanced stamina, increased strength, greater range of motion, significant time savings, convenience (exercise anywhere anytime), offers 6 levels of KAATSU Cycle. * Features includes monitoring and archiving real-time physiological data, standard KAATSU Cycle options for all ages and abilities, customizable KAATSU Cycle options for athletic performance, recovery and rehabilitation, video feedback and interaction with KAATSU Master Specialists for real-time consultation, access to KAATSU Cloud where user information is automatically uploaded and archived in the KAATSU database, precise, simultaneous and separate control of pressure on each limb, access to the KAATSU Performance Database that archives your data and can offer comparisons to other users, used with both the KAATSU Air Bands or KAATSU Aqua Bands, band pressure up to 500 SKU (Standard KAATSU Units), and is reimbursable with CPT codes. Sample customers include physical therapy offices, chiropractors, university athletic departments and training rooms, retirement communities, competitive sports teams, individuals and corporations. 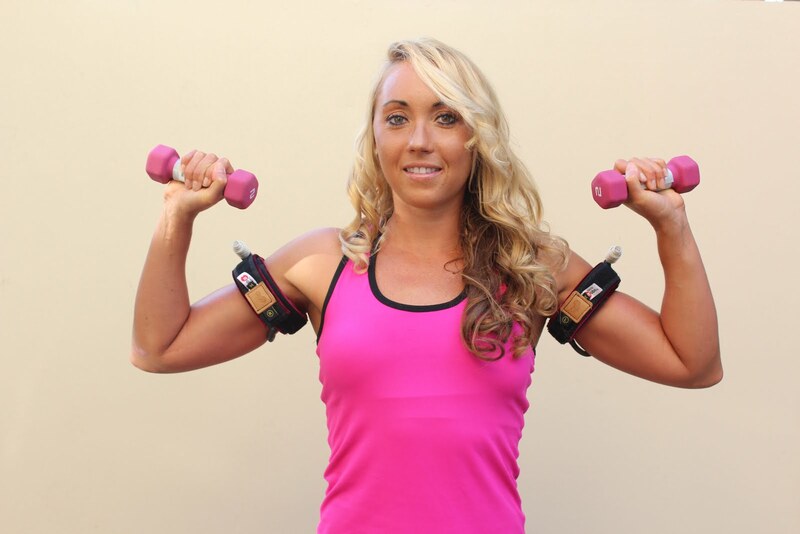 The KAATSU Master 2.0 comes with 4 sets of KAATSU Air Bands or KAATSU Aqua Bands (Small, Medium, Large or Extra Large). 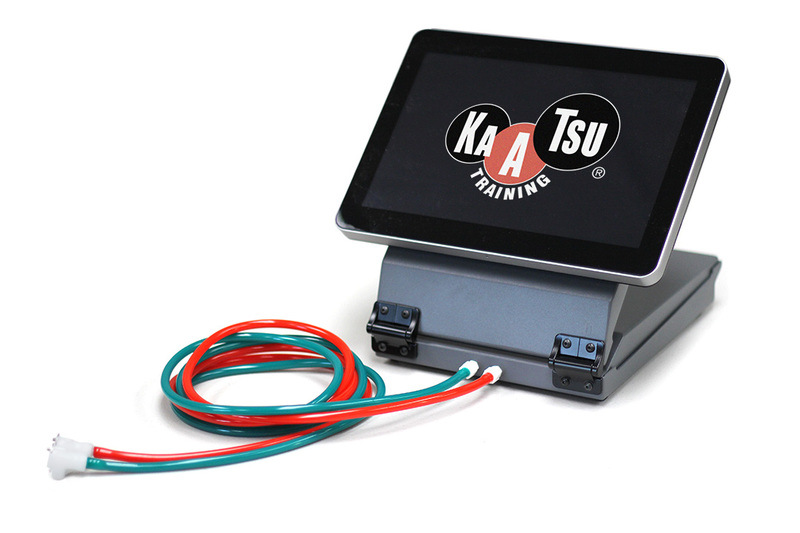 Your own physiological data can be inputted, automatically uploaded and archived to the KAATSU Performance Database (www.kaatsuperformance.com). KAATSU Air Bands are available in 4 sizes: Small, Medium, Large and Extra Large. 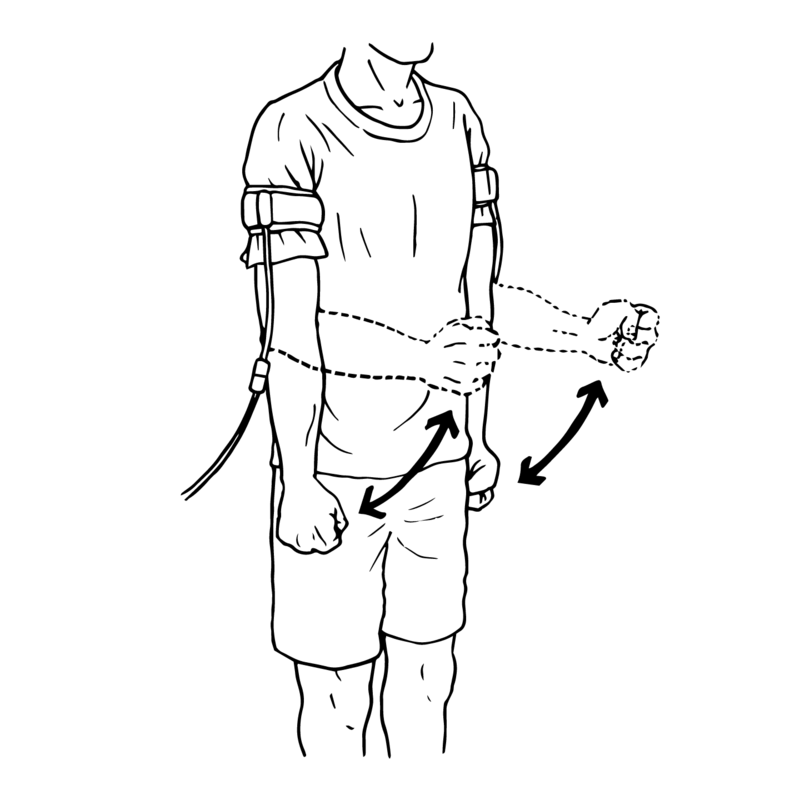 Measure the circumference of the top of your arm (right by your armpit) and the circumference of the top of your leg (right alongside your groin). Those circumferences will determine the appropriate size for your KAATSU Air Bands. 74-year-old Tap Nixon, a former basketball player, hurt his left shoulder, has had 3 hip surgeries, and has long used a cane to help him limp along. After 7 short KAATSU sessions, he can now pass and shoot a basketball - and open a Gatorade bottle - which he could not do before. Tap also could not previously pick up his keys from the floor, but things changed after 7 KAATSU sessions of 20 minutes each. His Base SKU pressure is 35 SKU on both his arms and legs. His Optimal SKU pressure is now 290 SKU on his arms and 320 SKU on his legs. For his full progression over these last two weeks, visit here. 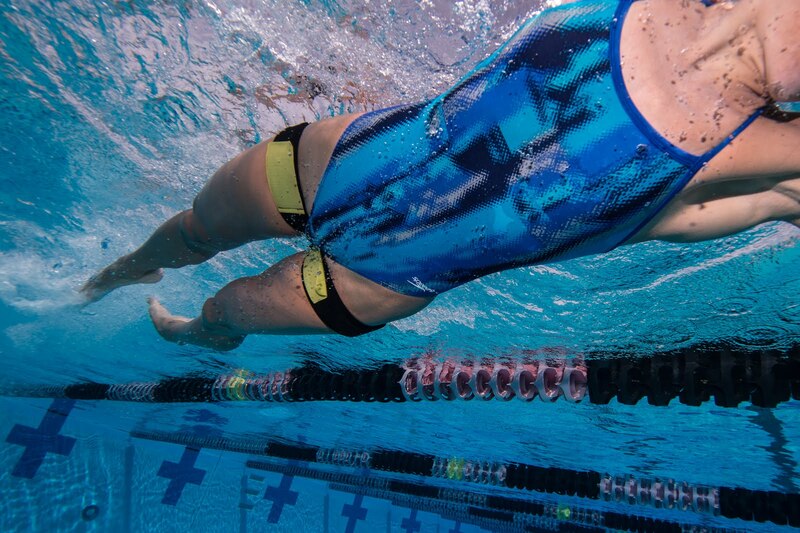 For competitive swimmers for are working on leg, core and upper body strength, as well as for aging Baby Boomers who are undergoing aqua therapy. “Our goal is to awaken human potential by sharing precise effective tools and methods to maximize the health, happiness and performance of people who want to realize their potential," explains David Weinstein of LIFEFORCE IQ and OASIS in Boca Raton, Florida. Weinstein was an investment banker for 35 years, specializing in biotechnology and medical companies. With that background and knowledge, combined with his lifelong interest in athletics and anti-aging, he and his wife Leidy are offering their lifestyle design via LIFEFORCE IQ. "We continuously monitor scientific advances and are quick to adjust products and protocols to assist our clients in optimizing their lifestyles." In addition to KAATSU equipment including the new 2.0 and KAATSU Aqua, the Weinstein's offer Juvent Health Micro-Impact Platform, LiveO2, Viome, Tower Garden, and One Truth 818. For additional examples of how people of all ages have improved themselves, visit here. 74-year-old Tap Nixon, a former basketball player, hurt his left shoulder that has restricted his range of motion and eliminated his ability to shoot basketballs. He also used a cane to help him limp along since he had two hip replacements and one revision on his left leg and torn his Achilles heel. He talks about the effects of KAATSU on his lower and upper body after today's KAATSU session. He did his first 15-minute session of KAATSU on April 9th, a second 15-minute session on April 11th, a third 15-minute session on April 12th, a fourth 20-minute session on April 17th, a fifth session on April 18th, and a sixth session on April 19th 2018. He did 5 KAATSU Cycles (totaling 15 minutes) on the KAATSU Master device using KAATSU Air Bands at a Base SKU pressure of 30 SKU and an Optimal Pressure of 280 SKU on his arms. 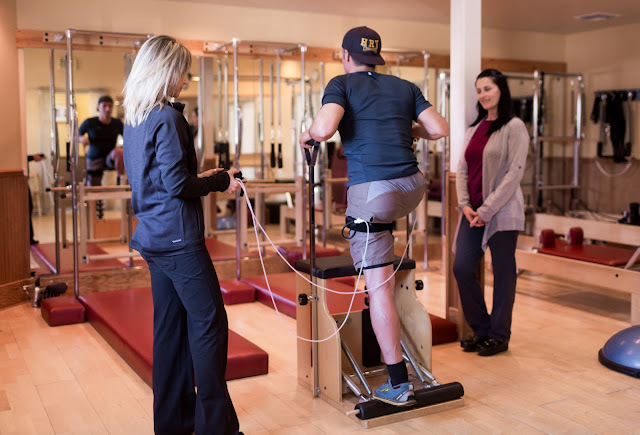 He added two KAATSU Cycles on his legs of 35 Base SKU and 320 Optimal SKU on his legs: during the first Cycle, he did heel raises; during the second Cycle, he did Standing Leg Curls while he held onto the back of a chair for balance. During the KAATSU Cycles on his arms, he did the standard KAATSU 3-Point Exercises (Hand Clenches + Biceps Curls + Triceps Extensions) while the pressure was on and he rested while the pressure was off. He used squeeze balls during the Hand Clenches and simply contracted or stretched his muscles during the remaining KAATSU Cycles. 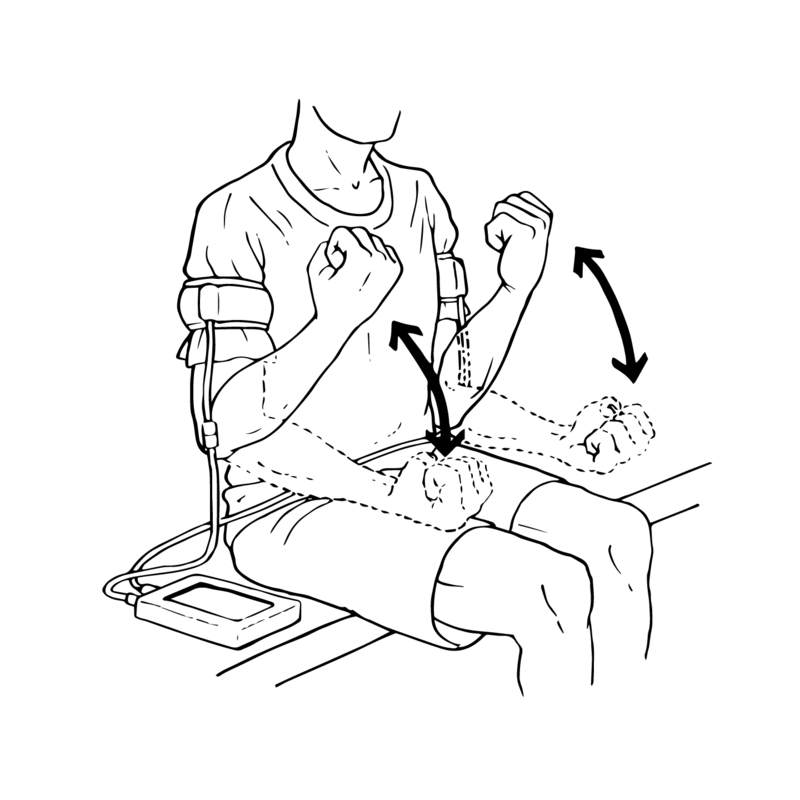 When the KAATSU Air Bands were on his legs during the first KAATSU Cycle, he sat and did Heel Raises. During the second KAATSU Cycle, he focused on standing on one leg while bringing his heel to his buttocks on his other leg. He did 4 repetitions with this left leg and then 4 repetitions on his right leg as he commented that he really felt his legs being worked on for the first time in years. His improved range of motion of his left shoulder is markedly significant from Day One and he no longer uses his cane to walk. He explains his effects above. He talks about the effects of KAATSU after today's KAATSU session as well as his no further need for his walking cane. He did his first 15-minute session of KAATSU on April 9th, a second 15-minute session on April 11th, a third 15-minute session on April 12th, a fourth 20-minute session on April 17th, and a fifth session on April 18th 2018. He did 5 KAATSU Cycles (totaling 15 minutes) on the KAATSU Master device using KAATSU Air Bands at a Base SKU pressure of 30 SKU and an Optimal Pressure of 280 SKU on his arms. He added two KAATSU Cycles on his legs of 35 Base SKU and 320 Optimal SKU on his legs: during the first Cycle, he did heel raises; during the second Cycle, he walked for 3 minutes with the KAATSU Air Bands on his legs. 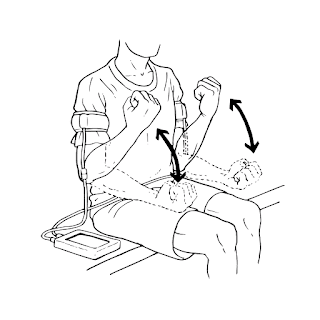 When the KAATSU Air Bands were on his legs during the first KAATSU Cycle, he sat and did Heel Raises. During the second KAATSU Cycle, he walked slowly around the room with the KAATSU Air Bands on his upper legs. For his full progression over two weeks, visit here. 74-year-old Tap Nixon, a former basketball player, hurt his left shoulder that has restricted his range of motion and eliminated his ability to shoot basketballs. He talks about the effects of KAATSU after today's KAATSU session. He did his first 15-minute session of KAATSU on April 9th, a second 15-minute session on April 11th, a third 20-minute session on April 12th, and a fourth 20-minute session on April 17th 2018. 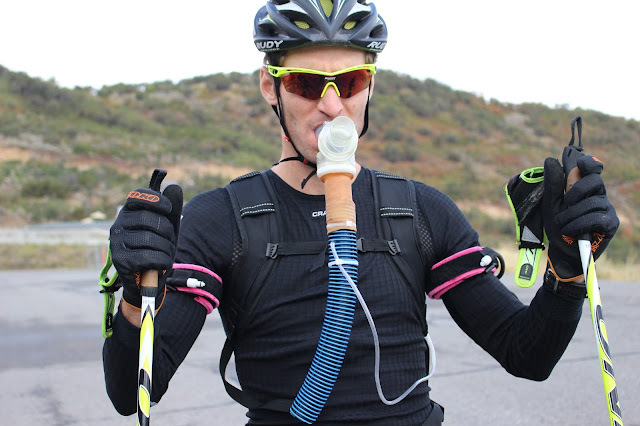 He did 5 KAATSU Cycles (totaling 15 minutes) on the KAATSU Master device using KAATSU Air Bands at a Base SKU pressure of 30 SKU and an Optimal Pressure of 260 SKU on his arms. He added two KAATSU Cycles on his legs of 35 Base SKU and 320 Optimal SKU on his legs. During the KAATSU Cycles on his arms, he did the standard KAATSU 3-Point Exercises (Hand Clenches + Biceps Curls + Triceps Extensions) while the pressure was on and he rested while the pressure was off. He used 2 lb dumbbells to do Biceps Curls during one of the KAATSU Cycles. When the KAATSU Air Bands were on his legs during the first KAATSU Cycle, he just sat. During the second KAATSU Cycle, he did leg extensions on his left leg while sitting and contracting his quadriceps. His improved range of motion of his left shoulder is markedly significant from Day One [see here]. The strategy for Tap is to do 6 sessions within the first two weeks, focusing on his left arm. The subsequent 2-week period will focus on his left leg where he had two hip surgeries. The final 2-week period will focus on his mobile agility and shooting ability on a basketball court. This is his goal: move fluidly without a limp and shoot basketballs. 74-year-old Tap Nixon, a former basketball player, hurt his left shoulder that restricted his range of motion and eliminated his ability to shoot basketballs. After his first session on April 9th 2018, he followed up with his second KAATSU session on April 11th. 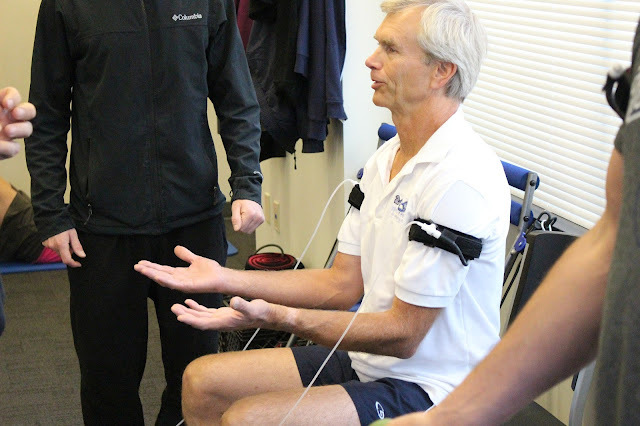 He explains his injury to his left shoulder before doing 5 KAATSU Cycles (15 minutes) on the KAATSU Master device using KAATSU Air Bands at a Base SKU pressure of 30 SKU and an Optimal Pressure of 250 SKU. During the KAATSU Cycles, did the standard KAATSU 3-Point Exercises (Hand Clenches + Biceps Curls + Triceps Extensions) while the pressure was on and he rested while the pressure was off. His improved range of motion is significant from Day One. For his full progression over two weeks, visit here. 74-year-old Tap Nixon, a former Long Beach State basketball player who played guard on its #2 ranked team in the early 1970s, hurt his shoulder that restricted his range of motion and eliminated his ability to shoot basketballs. He also uses a cane to help him limp along since he had two hip replacements and one revision on his left leg and torn his Achilles heel. He did his first session of KAATSU on April 9th 2018. He explains his injury and restricted range of motion on his left shoulder before trying KAATSU. Tap Nixon started by doing two KAATSU Cycles while sitting down to warm-up with a Base SKU pressure of 30 SKU and an Optimal Pressure of 250 SKU. Then he did slow and steady standard KAATSU 3-Point Exercises (i.e., Hand Clenches + Biceps Curls + Triceps Extensions) while doing 5 KAATSU Cycles (taking 15 minutes) on the KAATSU Master device using KAATSU Air Bands while doing two more KAATSU Cycles. Tap stretches his injured left shoulder on his fifth and last KAATSU Cycles, finishing up his 15-minute session on the KAATSU Master using pink KAATSU Air Bands. He kept a Base SKU pressure of 30 SKU and his Optimal Pressure at 250 SKU. Tap demonstrates his improved range of motion on his left shoulder after doing 15 minutes of KAATSU Cycles. Day 1 is completed, he felt much better and will continue doing KAATSU every other day. We will continue to follow his progress. Nixon wants to re-gain his ability to shoot and rebound basketballs. He did his second session of KAATSU on April 11th 2018. His improved range of motion is significant from Day One [see above]. Tap followed up with a third KAATSU session on April 12th 2018. 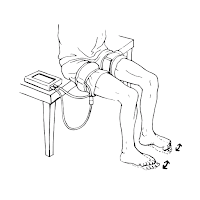 When the KAATSU Air Bands were on his legs doing the KAATSU Cycle, he did leg extensions while sitting and contracting his quadriceps. KAATSU Specialist Steven Munatones explained to Tap, "We began conservatively and are only doing the KAATSU Cycle during the first two weeks. We will do only simple exercises and stretching with the KAATSU Cycle. After two weeks, we will untether the bands and your Base SKU and Optimal SKU levels will increase. Then we will begin doing KAATSU Performance Training where the bands are untethered - disconnected - but they still remain inflated at your Optimal SKU pressure. Then we will begin to do chest passes, take free throws and do agility drills on the basketball court with the inflated bands on." His improved range of motion of his left shoulder is significant from Day One. Tap did his fourth 20-minute session on April 17th 2018. The overall plan for Tap is to do 6 sessions within the first two weeks, focusing on his left arm and starting to work on his legs. The subsequent 2-week period will focus on his legs where he had 3 hip surgeries. The final 2-week period will focus on his mobile agility and shooting ability on a basketball court where he will actually use a basketball. This is his ultimate goal: move fluidly without a limp and shoot basketballs with his young athletes who he coaches. Tap talks about the effects of KAATSU on his lower and upper body after his sixth KAATSU session over a 2-week period (15-20 minute sessions on April 9th, 11th, 12th, 17th, 18th, and 19th). 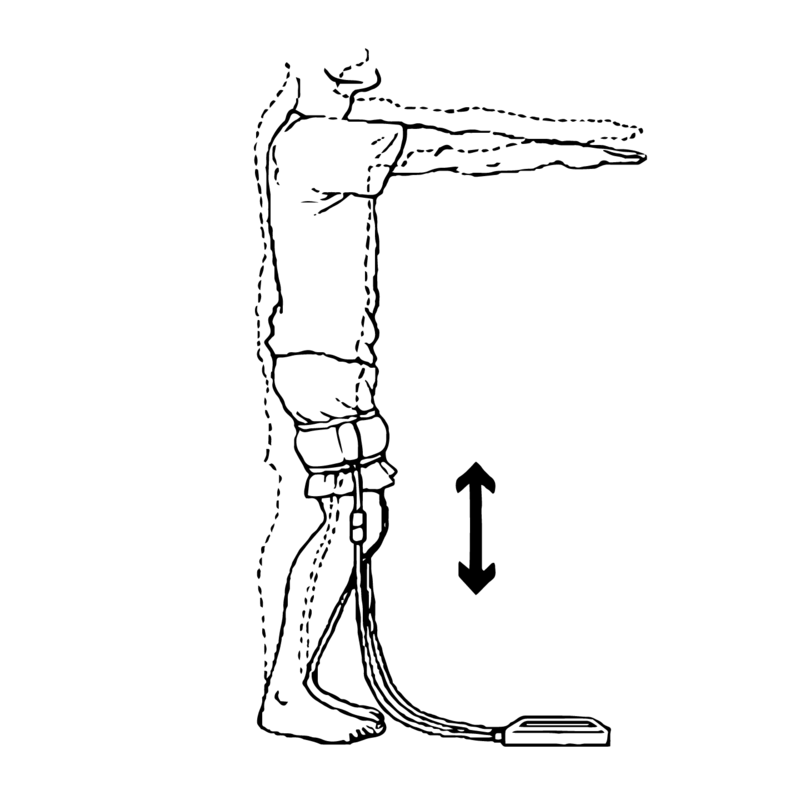 During his 8th KAATSU session, Tap warmed up for his basketball moves with some KAATSU Cycles on his upper body (30 SKU Base Pressure + 290 SKU Optimal Pressure) and some KAATSU Walking with 35 SKU Base Pressure + 320 SKU Optimal Pressure on his legs. He finished up his KAATSU session with some basketball moves he has not done for decades. * Each individual is first taught the proper location of the KAATSU Air Bands on their arms and legs and their safe Base SKU pressure. * Each individual is taught how to check their Capillary Refill Time (CRT). * Each individual is taught how to warm-up and warm-down and rehabilitate with the KAATSU Cycle mode. * Each individual is taught how to find their own Optimal SKU pressure - that will gradually change over time and vary between different exercises and activities (e.g., isometric versus aerobic exercises). * The leaders or coaches confirm each individual has a complete comprehension of the above. 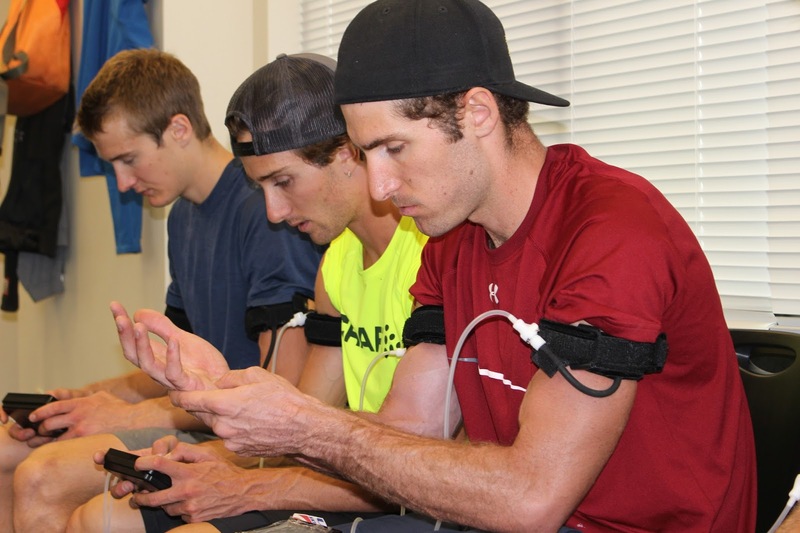 * During the KAATSU Group Lessons, each individual is responsible for constantly checking the CRT of their individual (or teammate to their right) if they are simultaneously doing the same activities. * The leaders or coaches are responsible for reviewing everyone's CRT on a random basis. 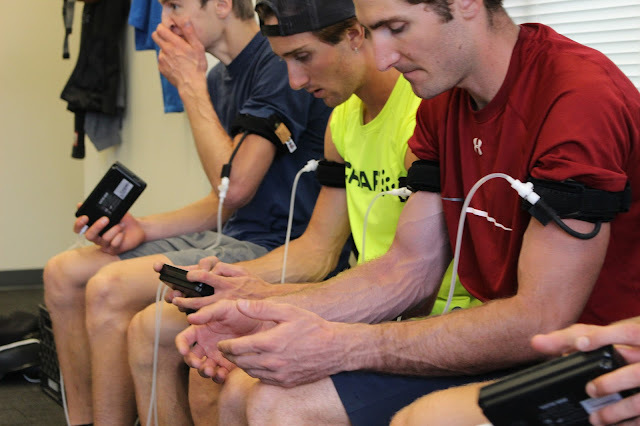 * The KAATSU Air Band sets can be shared for efficiency. Half of the group can use the bands on their arms while the other half of the group uses the bands on their legs. * If some individuals can do vastly more repetitions than their peers, then the leader or coach can ask those with greater abilities to slow down the pace of their repetitions and contract their muscles in the positive and negative directions. * If the leaders are coaches have very specific training sets (e.g., push-ups or core work or sprints), specific Optimal SKU levels may be varied (100-500 SKU) in order to accommodate the different capabilities of each individual. * KAATSU should be done on both legs and arms, and in the cases where there are significant differences between the strength or abilities of one limb versus the other limb, the Optimal SKU levels can be set differently for each limb. * More frequent use of KAATSU will lead to an increased elasticity of veins and capillaries [see here]. KAATSU is well-known to build muscle mass and girth. But this is only one single aspect, one athletic perspective, one possible benefit, one resultant outcome of KAATSU. There are some athletic activities that need only a greater range of motion or increased strength or improved performance - and do not desire greater muscle mass or girth. Similarly, some individuals do not wish to gain muscle mass or muscle girth - they prefer improved muscle tone or improved BMI. In these cases, the KAATSU Cycle is an ideal application of KAATSU Training. The KAATSU Cycle should be done before every KAATSU session as an ideal warm-up protocol. You can start off at your usual Base SKU pressure and a conservative Optimal SKU pressure. Stretch while the KAATSU Air Bands are inflated and rest while the bands are deflated. Then increase your Optimal SKU pressure on the second (and subsequent) KAATSU Cycles. For example, you can start with a Base SKU of 20 and an Optimal SKU of 200 SKU on the first KAATSU Cycle (that takes 3 minutes 20 seconds). Then you can increase the Optimal SKU to 250 SKU and 300 SKU respectively on the subsequent KAATSU Cycles. Continue to stretch or do other warm-up exercises as appropriate to your sport or activity. Then, a few KAATSU Cycles can be repeated at the end of your KAATSU session or after your workout is over. First, do a complete release of the KAATSU Air Bands and get well-hydrated. Then re-apply the KAATSU Air Bands and do a few KAATSU Cycles. But in this case, you can slightly lower your Base SKU and use a lower Optimal SKU pressure to help flush out the lactic acid that may have built up during your workout. You can walk or do simple stretching while you do the warm-down KAATSU Cycles that will help mitigate undesired muscle growth and increased girth. The use of KAATSU Cycle is a safe and effective engorgement of blood in the limbs. A warm-up or warm-down while moving (e.g., walking or stretching) in such a physiological state will lead to improved preparation for vigorous training or greater efficiency in flushing out lactic acid that has built up. Dr. Satoh of the Satoh Clinic in Ube City, Japan presented a clinical study entitled Kaatsu Training: Application to Metabolic Syndrome where he applied KAATSU to patients with metabolic syndrome. His goal was to evaluate the effect of KAATSU on patients with hypertension, diabetes mellitus, dyslipidemia, and obesity with metabolic syndrome. Dr. Satoh asked 18 patients to do the standard KAATSU 3-Point Exercises for 6-12 minutes, once or twice a week with a Borg scale at level 13. The usefulness of KAATSU was evaluated after 3-4 months. The patients were instructed not to change their lifestyles (e.g., food, medicine and exercise). Dr. Satoh (note: no relation to KAATSU inventor Dr. Yoshiaki Sato of Tokyo) reported the following results: The effectiveness of KAATSU was shown in 31 out of 51 patients (61%). In 12 out of 18 patients (67%) with hypertension, systolic blood pressure dropped from an average of 166 mmHg to 146 mmHg and diastolic blood pressure also dropped from an average of 96 mmHg to 86 mmHg. In 6 out of 10 patients (60%) with diabetes mellitus, HbA1c dropped from an average of 6.8% to 6.12%. In 8 out of 14 patients (57%) with dyslipidemia, LDL-c decreased from an average of 158 mg/dl to 136 mg/dl. In 5 out of 9 patients (56%) with obesity, there was a reduction in weight from an average of 67 kg to 59 kg. The doctor concluded that KAATSU improves physical conditions including hypertension, diabetes mellitus, dyslipidemia and obesity with metabolic syndrome. Metabolic syndrome is defined as a condition of visceral fat accumulation with a combination of two or more of hyperglycemia, hypertension or dyslipidemia. These closely resemble the symptoms of somatopause which is the condition of decreasing growth hormone (hereafter GH) secretion with aging. On the other hand, KAATSU has brought about a variety of good effects in muscle strength (Takarada et al., 2000; Abe et al., 2005), lipolysis (Satoh, 2011) and health promotion. 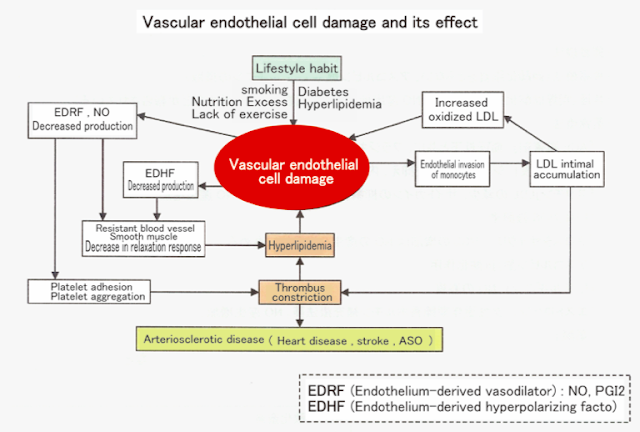 KAATSU has also been applied in the field of medical care (Nakajima et al., 2007). In my clinic, exercise therapy, especially walking, has become valued for the treatment and prevention of metabolic syndrome (Satoh, 1990). 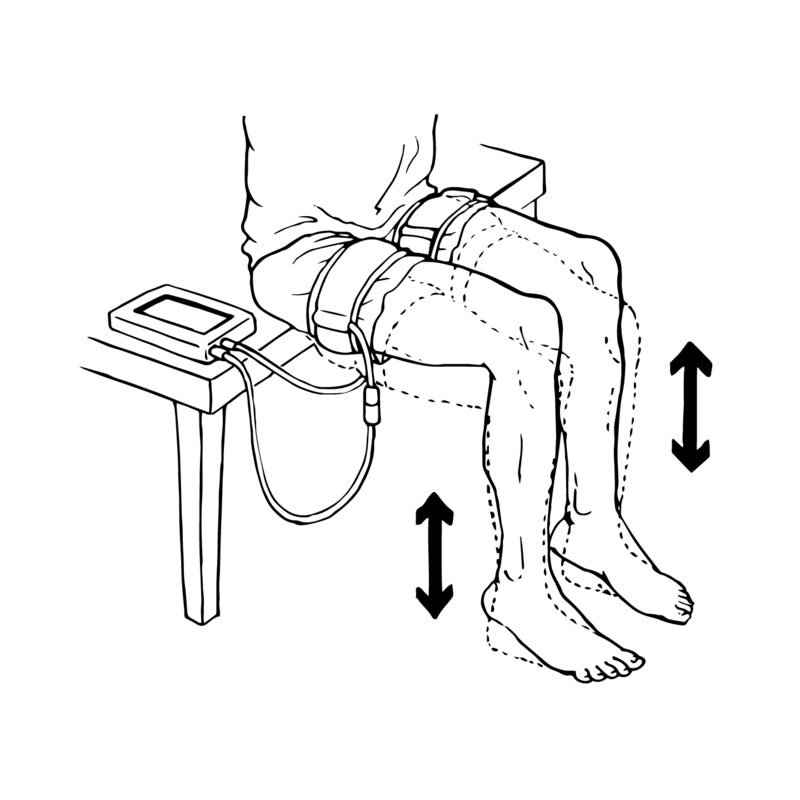 Nevertheless, in cases of patients with a walking disturbance or patients who cannot spare one hour or more for walking, KAATSU has been proactively introduced and good results were obtained (Satoh, 2006). 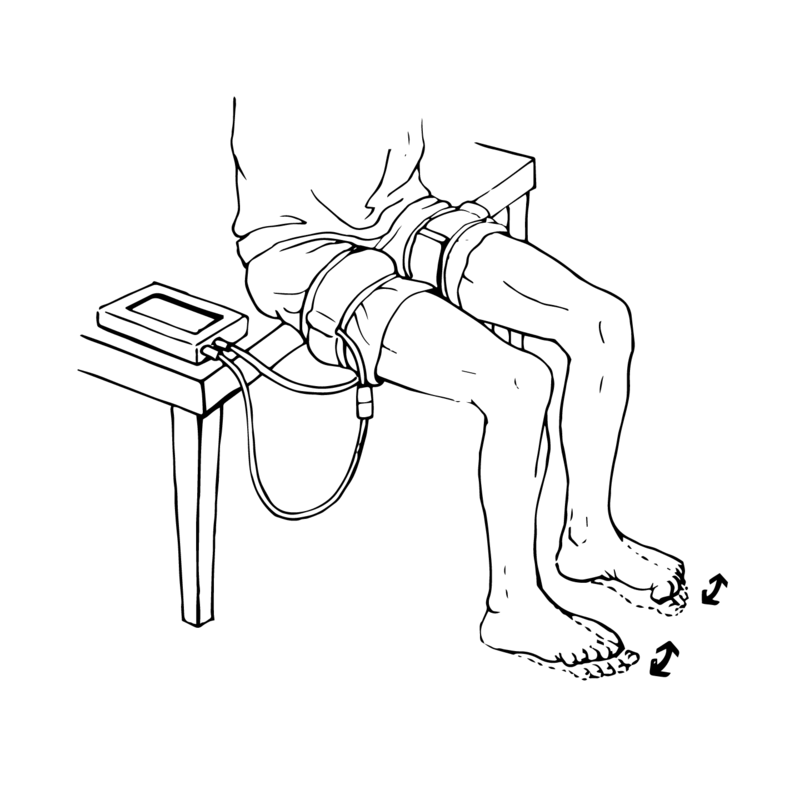 This method can be performed in a short period of time, without placing a burden on the knees and the lower back. Furthermore, it is believed that there is a good effect even with metabolic syndrome because of the secretion of GH. Therefore, the effectiveness of KAATSU on metabolic syndrome was evaluated in this study. The subjects of this study were 51 patients with metabolic syndrome (14 males and 37 females) out of 96 patients treated with KAATSU so far at my clinic. The ages of these subjects were as follows: 3 in their 30’s, 5 in their 40’s, 9 in their 50’s, 12 in their 60’s, 10 in their 70’s, 10 in their 80’s and 2 in their 90’s. The diseases of subjects were as follows: 18 patients with hypertension (7 males and 11 females), 10 patients with diabetes mellitus (3 males and 7 females), 14 patients with dyslipidemia (4 males and 10 females), and 9 patients with obesity (1 male and 8 females). 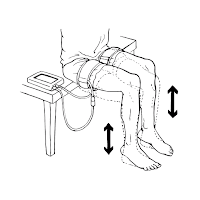 However, patients with a resting blood pressure of 170 / 100 mmHg or above were excluded from the subjects because they could be considered at danger of a rise in pressure during KAATSU training. Fasting blood samples were taken early in the morning and body weight was measured with the Body Composition Analyzer MC190 (TANITA Corporation, Tokyo). The kinetics of GH secretion before and after KAATSU was examined in one elderly patient to confirm the results reported before, since the levels of GH in previous studies were checked only in young athletes (Takarada et al., 2000) or healthy males (Takano et al., 2006). Before KAATSU was applied, there was first a 10-minute period of stretching of the entire body. Then, the KAATSU belts (Sato Sports Plaza, Tokyo) were coiled around the proximal end of either the arms or the legs. After this, the pneumatic control type KAATSU Training Device (the KAATSU-Master or the KAATSU-Mini, Sato Sports Plaza, Tokyo) was connected to those belts, and KAATSU was performed for a period of 6-12 minutes under an appropriate pressure (60 to 160 mmHg for the arms and 80 to 200 mmHg for the legs respectively). The appropriate pressure was set so as the patients didn’t feel pain in the distal portion to the KAATSU belt during the exercise. The content of KAATSU was a 3-exercise set of training (Sato Y, 2007a); that is, (1) an opening and shutting movement of both the fingers and the toes at the same time, (2) an extension and a flexion of the arms (arm curl) and the feet (toes raise) at the same time, and (3) a pushing the both fists which are placed in front of the chest down obliquely to behind, with stretching the elbows (push down) and the heels up (calf raise) at the same time. Each 3-exercise set was performed 30 times with 20 second resting intervals. This exercise intensity was equivalent to the Borg scale of level 13 (somewhat hard). KAATSU was performed once or twice a week. For the exact evaluation, the purpose of this study was sufficiently explained to the patients and they were instructed not to change their lifestyle (food, exercise, and medicine). Nevertheless, some patients changed their lifestyle during this study and they were therefore excluded from the assessment. The evaluation of the effect was done 3 to 4 months later. All values are expressed as means ± S.D. There were no accidents in this study. KAATSU was effective against metabolic syndrome in 31 patients (61%), and ineffective in 11 patients (22%). A total of 9 patients (17%) were excluded. Among the excluded cases, 6 patients changed their lifestyles during this study; 5 patients added diet or exercise therapy by themselves, seeking further improvement because they had seen the effectiveness of KAATSU before the evaluation, and a patient had his medical treatment changed by another clinic during the study. Furthermore, 3 patients withdrew themselves from the study because no effects had appeared; 2 patients had diabetes mellitus and the other one had dyslipidemia. KAATSU decreased blood pressure in 12 out of 18 patients with hypertension (67%). In systolic blood pressure, there was an average drop from 166 ± 5.98 mmHg to 146 ± 1.15 mmHg and the average drop rate was -12 ± 2.87%. In diastolic blood pressure, there was an average drop from 96 ± 2.68 mmHg to 86 ± 2.88 mmHg and the average drop rate was -10 ± 2.24%. Among the 2 excluded cases, one patient added walking to his lifestyle by himself and the other patient who attended a different clinic had his medication reduced by the attending physician. KAATSU was effective in 6 out of 10 patients with diabetes mellitus (60%): HbA1c dropped by an average of 6.8 ± 0.31% to 6.12 ± 0.29% and the average of drop rate was -10 ± 0.56%. There were 3 excluded patients in this group. A patient restricted her eating habits (snacks between meals) by herself and the other 2 patients discontinued KAATSU 2 months after starting without seeing a drop in HbA1c. KAATSU was effective in 8 out of 14 patients with dyslipidemia (57%): LDL-c decreased by an average of -14 ± 2.62% in 158 ± 12.60 mg/dl to 136 ± 6.99 mg/dl. Among the 2 excluded patients, one patient restricted her eating habits (snacks between meals) by herself, and the other patient discontinued KAATSU treatment because LDL-c didn’t drop. KAATSU was also effective in 5 out of 9 patients with obesity (56%): There was an average reduction in body weight from 67 ± 4.26 kg (BMI 28.7±1.82) to 59 ± 3.30 kg (BMI 25.2±1.41) and by an average of -12 ± 1.91 (BMI -12 ± 0.48)%. There were 2 patients excluded because they restricted their eating habits (snacks between meals). For additional details on this study, visit the Research Page on the KAATSU Global website here. 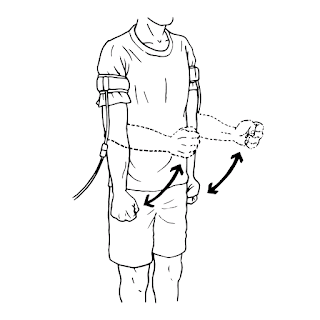 The KAATSU 3-point Exercises for the arms involves hand clenches, bicep curls and tricep extensions. Each set of exercises should be done 3-4 times each with a maximum of 20 seconds rest between each set. Ideally, the number of repetitions for each exercise decreases before the user reaches muscular or technical failure* (or fatigues). That is, an ideal set would be 25-30 repetitions on set #1, 10-15 repetitions on set #2, and 5-10 repetitions on set #3. Even if only 1-2 repetitions are completed on the last set, this failure signal sent to the central nervous system is one of the goals of KAATSU. The KAATSU 3-point Exercises for the legs are either defined as Standard or Advanced. The Standard KAATSU 3-point Exercises for the legs involves toe curls, toe raises, and heel raises. 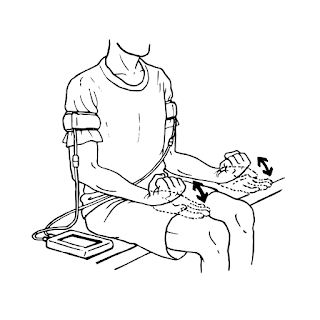 These are all performed while the user is seated comfortably with good posture on a chair. In general, these are preferred for older or less fit individuals or those just starting an exercise program or KAATSU. 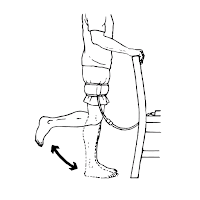 The Advanced KAATSU 3-point Exercises for the legs are alternatively used by more fit or active individuals or for those individuals with more experience in KAATSU. These 3 basic exercises includes heel raises, leg curls and squats. The heel raises can be done while sitting or standing. The leg curls can be performed while standing and holding onto a chair or balancing against a wall. The squats (or "chair touches") can be performed while bending the knees to touch a chair and then popping back up. Ideally, the squats are "non-lock" (partial extension) so that the muscles are constantly engaged and there is no rest while the knees are "locked" straight (in a full extension). This will build up fatigue and lactic acid more quickly. Each set of exercises should be done 3-4 times each with a maximum of 20 seconds between each set. Ideally, the number of repetitions for each exercise decreases before the user reaches muscular or technical failure (or fatigues). Mike Allcord is an experienced Dive Master at the New England Aquarium who spends a lot of time in the Giant Ocean Tank, a huge tank simulating a Caribbean coral reef where bonnethead sharks, sea turtles, stingrays, moray eels, barracuda, and many smaller reef-living fish reside. The 77-year-old hardened veteran of the open water is also a blazing fast masters swimmer. Allcord is coached and was trained on KAATSU by Olympic swim coach Chris Morgan at Boston University. He does the KAATSU Cycle regularly at his appropriate Base SKU and Optimal SKU levels. He recently noticed something that he brought up to Coach Morgan. "I just started kick biking again, since the weather has improved. I noticed that when I grab the handlebar that I have no pain in my hands. Last summer, whenever I kick biked my hands consistentally hurt due to arthritis which had been diagnosed. Is it possible that KAATSU has caused this pain relief? If it is, that’s truly amazing and a wonderful, unanticipated effect." KAATSU inventor Dr. Sato explained the mechanism behind the apparent pain relief that many KAATSU users feel. "We have found that KAATSU Training and the KAATSU Cycle leads to a decrease in CRP, C-reactive protein which is a blood test marker for inflammation in the body. CRP levels increase in response to inflammation. This is why people who have arthritis or are experiencing different kinds of pain report feeling relief after bouts of KAATSU. While there is also an increase in HGH (Human Growth Hormone), nitric oxide, IGF-1 (insulin growth factor) and VEGF (vascular endothelial growth factor), KAATSU also has shown to decrease CRP. Typically with pain comes inflammation and the CRP increases. 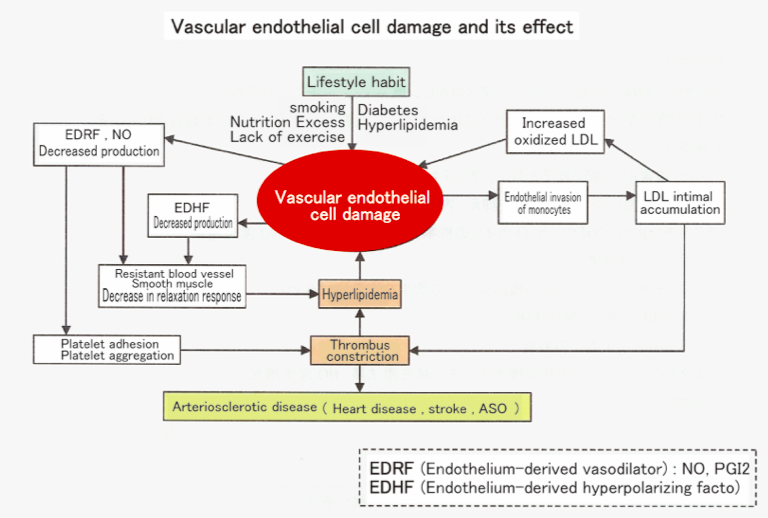 But with KAATSU, the decrease in CRP and production of EPC (endothelial progenitor cell) help. EPC are cells that help regenerate the endothelial lining of your blood vessels and is great for people like Mike."